This quaint, low rise building has 4 floors and with only 2 buildings in the entire complex, the vibe is very comfy. Grand Bay features 2 bedroom and 2 bath residences with truly spectacular views. 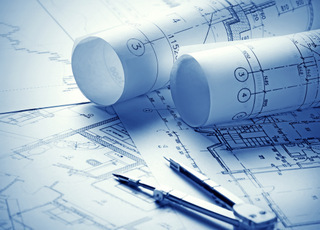 Unit floor plans range from 1,202- 1,255 sq. ft. and all are equipped with full size kitchens and appliances, AC units, sliding doors, lots of windows and natural light, almost making you feel like you are outside! Enjoy the screened lanais, a staple in this community to take in the spectacular views of the bay. Grand Bay is a waterfront condo community located in Marco Island Florida, between Naples and the Everglades National Park. Built in 1990 it boasts 60 units in the complex. Residents enjoy amenities such as social and activity rooms that can be used for gatherings, a heated pool and Jacuzzi to soak up the Florida sun, elevators inside the building, covered parking for residents and ample parking for visitors, deeded docks, extra storage, one tennis court, BBQ grills throughout the grounds. This community is excellent for the boat lovers, because you will have direct access the warm waters of the Gulf of Mexico! Living in Grand Bay you can be close to everything, restaurants, shopping, entertainment and golf courses all within a short distance from the complex. Monthly maintenance fees for Grand Bay condos is $500. Like most condos on Marco Island, the maintenance fee includes master insurance, cable TV, lawn maintenance, landscaping, manager, pest control, trash removal and water & sewer. Pets are allowed at Grand Bay. The limit is one pet, up to 20 lbs. 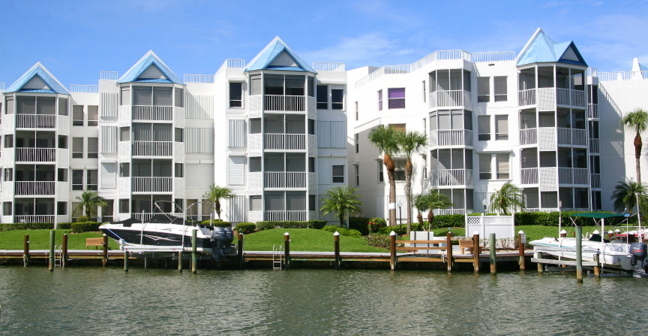 Like 80% of the condos on Marco Island, the minimum rental period in Grand Bay is 30 days. Our Condo Comparison, above, can direct you to condos with shorter or longer rental periods. There are two different floor plans in Grand Bay. They are both two-bedroom and three-bedroom plans. The property was designed to take advantage of spectacular bay views. Click here to see all Grand Bay floor plans.